Think you are all out of new ideas to save money? You might want to check out this list of simple ways to save money that contains over 50 tips! 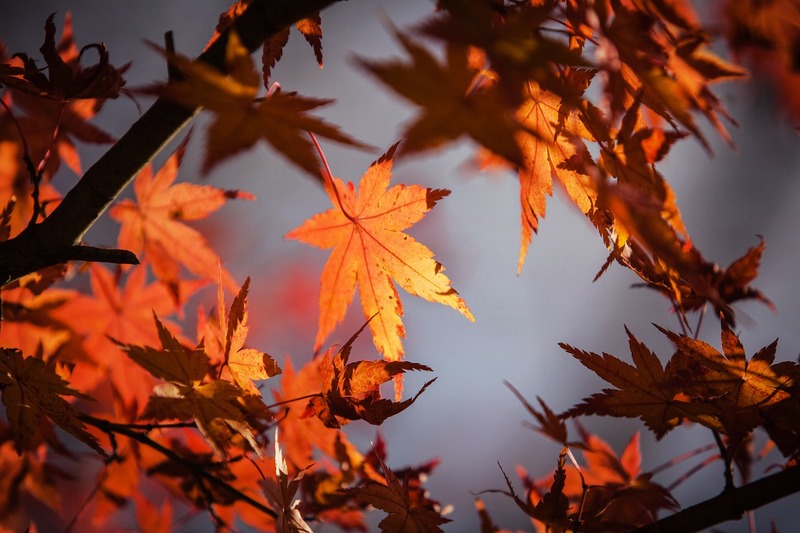 It always seems that after the holiday fun begins to wind up, the focus turns to saving money and how we can make a better plan for the income we have coming in. We look for any kind of tip or trick that might shave a few dollars off of our budget or perhaps how we can cut back in a few of the areas that we indulged in through the previous year. If you are trying to find new or extra ways to save money this year, I’ve gathered a wonderful list of ideas that will help you out. Even if you already know these things, I hope that just seeing this list will give you the inspiration to add a handful of them into your routine so that you can start saving a few precious extra dollars and putting them towards something more important. Even though one degree seems silly, it can actually save you a ton. Heating experts tell you that by doing this, you can shave money off your heating bill each year. 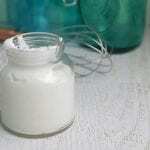 It also helps to use the plastic window insulation in the winter. After wanting to try them out for a very long time, I finally put them up this year and they work wonders! Even in temps down to -20 degrees, our house was toasty warm and we’ve still been able to turn the heat down. One of the biggest wasters of energy is leaving the refrigerator door open for longer than necessary. Think of what you want before opening the door so that you conserve as much energy, and money, as possible. The refrigerator is one of the biggest energy users in your house period. I actually plan on getting rid of mine in 2017 after we build our alternative and I can hardly wait! Buying generic can often save you tons of money. There are several things you purchase on a regular basis that could be switched to generic, I’m sure, without a notice in change. Doing this can actually save you hundreds each month. If you are tempted to buy a brand name, try shopping at Aldi. They only carry generic products and they have great prices on items. We like to get cheese and produce at the store in the town nearby. Growing your own produce not only saves you money, but is also better for you and your family as well! 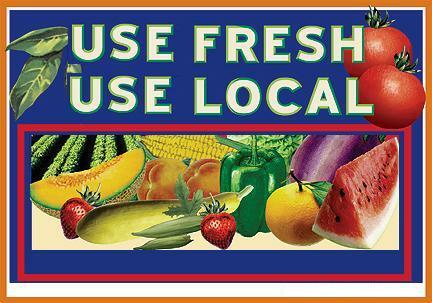 Grow what you know you will use and eat, and you will save a large amount on grocery store prices. Find lots of tips on growing your own produce on our Gardening page. 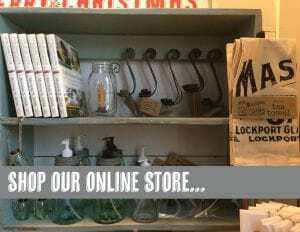 And get my Gardening and Preserving Journal to really make the most of your gardening experience. We all know that saving energy means saving money, and those little light switches can really add up. Make it a habit for yourself and your children to automatically switch off a light when leaving the room. This is actually one habit you will want to keep! Plus if you haven’t already, switch to LED bulbs. 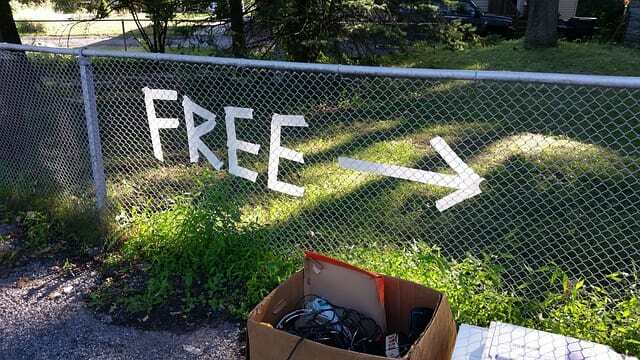 Yard sales can save you money on so many different items. My husband and I were just chatting about how I got my immersion blender/electric mixer at a yard sale (in excellent condition) for only $1.50 — and that was years ago! You can save on everything from clothes and shoes to appliances and furniture when you shop yard sales. Get tips on shopping at Rummage/Yard Sales here. Most often times, grocery stores will list the unit price next to the total price on the price tag. Utilizing this can save you money. Sometimes it’s not cheaper to buy the bigger bag, so it’s always best to check the unit price to get the biggest bang for your buck. I keep a little book of the best prices of items per unit/ounce/pound etc. It’s a very handy to list to have! There are so many house cleaners that you can make yourself for pennies on the dollar. Vinegar does wonders when cleaning around the house! 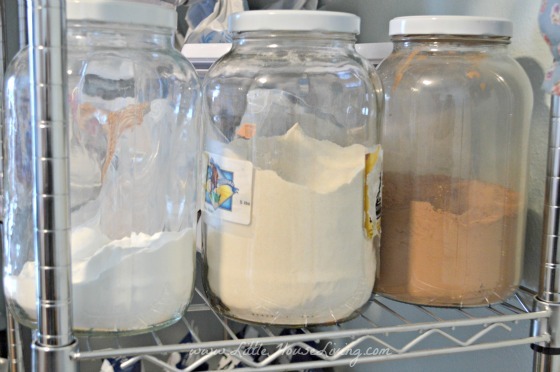 Skip out on cleaners that can be $3.00 or more per bottle, and make your own instead. 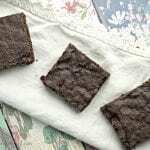 Find plenty of Homemade Cleaner recipes here or in my book, Little House Living: The Make Your Own Guide to a Frugal, Simple, Self-Sufficient Life. When you wash a full load of laundry, or do a full load of dishes, you’re conserving more water than you realize. Even if you have a well and don’t pay for your water, it still uses a lot of electricity to pump the water from your well to your sink or washing machine. Don’t pay for car washes that can be upwards of $10 or more dollars; involve the kids, grab the hose and a bucket of soapy water, and do it yourself. They’ll have fun, you’ll have fun, and you’ll save a lot of money — and probably do a better job too! Old appliances can sometimes be so out of date that they’re using far more energy than necessary. Making sure your home is energy efficient can save you hundreds of dollars each year, and is definitely worth the upgrade in the long run. Or decide if it’s something you can live without to save even more. You’d be surprised at the appliances that you have hanging around that you don’t actually need. Instead of throwing away all those produce scraps, save them and use them to make compost! Even if you just toss them in with the dirt in your flower beds, you will see increased growth and will save money on fertilizer and the like. You can also Re-Grow Vegetables From Scraps….try it! Late fees are wasted and unnecessary money. If you have trouble remembering when your bills are due, set a reminder on your phone or calendar to let you know it’s time to pay them. Don’t throw away money for late bill payments, just pay them on time. This saves me so much money each month. Knowing what you need to buy at the store — and just buying what’s on the list — can help you stay on track. Make sure you’re not shopping hungry either. That will always make you overspend! I love the shopping list that I shared with you here. Perfect for my style of shopping and record keeping! Planning out what you will eat for the week, or month, can help you save so much money. Doing this will help you: know exactly what to put on your list, keep from having to buy things last minute, and utilize things you may already have at home. Meal Planning is probably the single best thing I ever did to save money on groceries. Here are even more tips on Frugal Meal Planning. It’s always wise to make sure you know exactly what is going in and out of your bank account as it happens. Many, many times people are charged for things and never know it because they don’t balance their checkbooks. Stay on top of your money, and it could save you. Even if you only use cash, be sure and keep some kind of record or register so you know how your money is being spent. This seems like an old trick, but it’s effective and it works! Every dollar saved is another dollar you didn’t spend. This doesn’t just mean for groceries, but can sometimes apply to car maintenance, event tickets, eye checks, etc. I love finding the $10 off $40 or similar coupons to places I already plan on shopping at. Your meal plan may change based on what’s on sale for the week, or what’s in season. You can even combine coupons with store sales to save even more money! I never plan any side dishes with my meals because I always go off of what I can find on sale that week for produce and then I plan my sides around it once I get home. This applies to a lot of different areas of spending: cars, clothes, furniture, etc. Weigh the pros and cons to see if buying used would be a better option for you and your family — it could save you thousands. 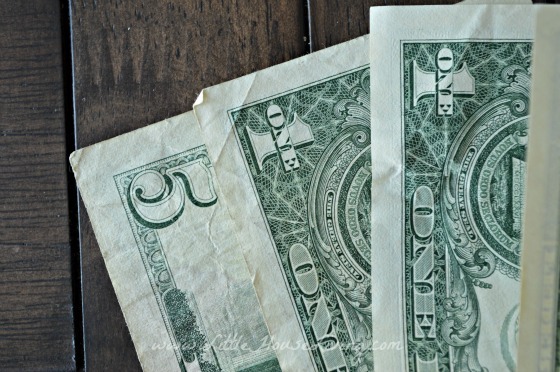 Find ways to re-use things in your home and you can stretch your dollars further. There are tons of ways to re-purpose other things on Pinterest, or you can come up with your own! Here are a few small ideas on how to reuse everyday objects to get you started! Making a budget makes you very aware of what money you have coming in, and what money you have going out. Keeping track of your budget can help you save in so many ways. If you have an irregular income (and most of us do!) you should check out this simple Irregular Income Budgeting Chart. Don’t go every day. We try to limit going to just once a week. (And only that often because we have to get supplies for our business, I would prefer once every other week.) Even if you live right in town, going to the store less can ensure you buy less while you’re there. Curtains can be incredibly expensive. Buying your own fabric and sewing your own can save you hundreds of dollars around your home. If you can sew a straight seam, you can easily sew your own curtains. Here’s how and more tips on sewing on a budget. A lot of places will have a cash discount. Use cash and take advantage of those discounts! Paying for items with cash also keeps you aware of exactly how much is going out of your account, and how quickly, instead of just swiping a card. Seasonal consignment sales are an awesome way to save money on kids’ clothing. Buying kids’ clothing new can be expensive, and utilizing these sales can save you so much money year after year. I love stocking up on the next year of my children’s clothing at rummage sales in the summer. Where else can you get a nice piece of clothing for a quarter? Also keep in mind that children don’t actually need as much clothing as we generally buy them. Here’s how to Minimize Children’s Clothing. If you know you will need to buy a certain item, or that you plan on doing something, plan ahead for those purchases. Buy your hotel or flight in advance (instead of at the last minute) to save a large percentage. Purchase birthday and Christmas gifts in advance, or as you find things on sale, to keep from having a large amount come out of your budget at once. Planning ahead can make sure you get the best price on a lot of items. This is a great way to get free clothes for yourself or your kids. Invite a few friends over and have everyone bring the clothes they no longer want. Separate the clothes by size, and then everyone can shop for free. It’s a win-win for everyone involved! 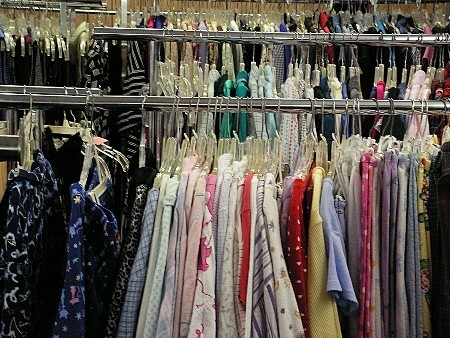 Here’s how to Organize a Clothing Swap. Sometimes you can save money by utilizing an online company versus a local one. Check prices before you buy to see if you can save first. This applies to so many things. If you can, make it yourself. See a cute item at a store? See if you can make it yourself for cheaper. Need cookies for an event? Make them yourself. There are tutorials for every single thing you could want to make on the internet. Try to make it yourself, before buying it. 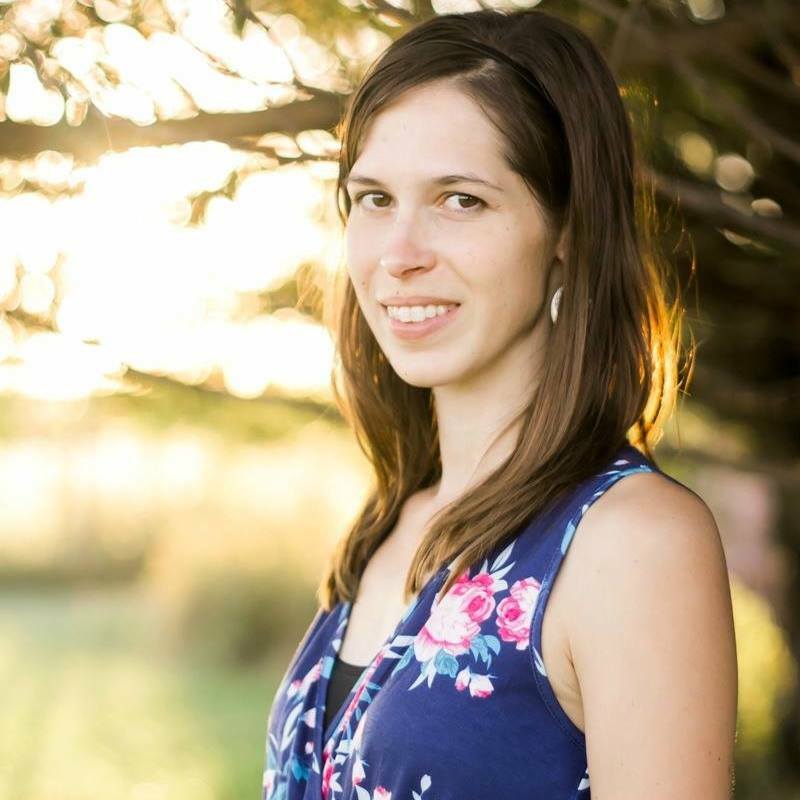 This has saved me thousands of dollars over the years and it’s why I wrote all about it in my book, Little House Living: The Make Your Own Guide to a Frugal, Simple, and Self-Sufficient Life. When shopping online, before ever clicking, “place my order,” I always do a quick Google search to see if there are any coupon codes I can use on my current purchase. This quick search has saved me quite a bit over the years! I also use Ebates and get a percentage of cash back every time I shop. I like to use Honey for a quick application of coupon codes into my shopping cart. If you utilize credit cards, don’t keep a balance on them month after month. By paying them off each month, you save money on the interest on your purchases. As long as you are still having children, keep their clothes as they age. Utilizing hand-me-downs can save you money on clothes that are in good condition as well as play clothes. By allowing your kids to play outside, or to get dirty, in clothes that are already stained, you keep them from ruining new clothes. Changing your car’s oil every 3,000 miles or so can increase the life of your car’s engine. The longer your car lasts, the longer you don’t have to buy a new one. Keeping up with regular maintenance on your car also goes along with this one. Rotating your tires on a regular basis can increase your gas mileage significantly! With gas prices ever on the rise, this will save you a ton of money on your travel expenses. It can also make for less wear and tear overall on your vehicle with will help it last longer. If you find you use a specific item often, check to see if you can buy it in bulk to save more money. The expense may be more initially but will save you money over time. Make sure you don’t buy an item in bulk that you’ve never used before, as that can actually waste money instead of saving it. 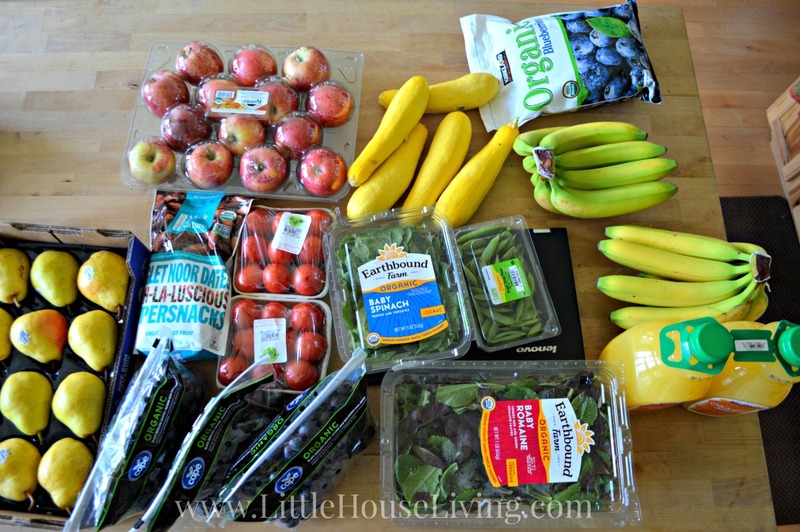 I love Buying in Bulk and have plenty of tips for you on that topic here! Changing the air filters in your house and in your car not only keeps your air cleaner but can save you money on fuel, heating, and cooling costs. It can even help keep you healthier which means you may avoid more trips to the doctor. This is one of the biggest downfalls of most people. You see things that you like and impulsively buy them without them being in your budget. Keep your spending planned. Use the overnight or even the 30-day rule depending on what the item is. This is one thing I have done for years. Energy efficient light bulbs use a small fraction of the energy that regular light bulbs do. LED Bulbs only cost a per pennies to run per year and are worth the upfront cost. Baking your own bread is so easy to do, and there are a ton of recipes out there! Making your own not only tastes so much better but is only pennies on the dollar compared to store prices.This Basic White Bread is a good staple recipe to have around. While this is currently something of a fad the idea has been around a very long time. Using cloth diapers can save you so much money. Especially if you purchase your set before the birth of your first child, and take care of them over their lifespan, you can save hundreds or thousands of dollars over the lifetime of your children! 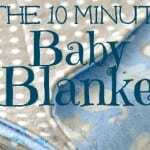 Learn about Frugal Clothing Diapering here. While this can be a daunting task, and one you may be tempted to hire out, do it yourself. As long as you’re physically able, mowing your own lawn can save an average home nearly $1,000 each growing season. With so many free online programs out there that have simplified the tax process, doing your own taxes can save you a ton of money each year, making tax season a little less painful. While buying seedlings can be a little easier, growing your own seedlings instead can save you SO much on your garden costs each year. Here’s how to Start Garden Plants From Seed. If you can’t raise and butcher your own chickens, buy them whole. Cutting up your own chickens from a whole chicken into breast meat, thigh meat, etc., can save you so much. Each year, instead of just renewing your insurance plans, check to see if there’s anything you can do to get the rates lower, or shop around. Just getting quotes could save you hundreds. My husband used to be an insurance agent and he can vouch for this one. In fact, we just switched over to another company and got lower deductibles and better coverage on our farm buildings. If you can, avoid loading yourself down with debt. Despite low-interest rates, having monthly payments over a long period of time can cost you more. If you do have to get a loan for something, be sure and check that it’s one that you can pay off early and then work towards that goal. Just like making it yourself, doing it yourself can save you so much money. If you are capable or can learn how to do it yourself. Resist the urge to pay people to do it for you. Some simple things you can learn to do are: house painting, basic plumbing, sewing, basic car maintenance, etc. Pack a lunch when you go places. Besides work and school, you can even pack a lunch to some events and amusement parks, as well as long trips. Check the details on where you’re going before you go to see if you can bring your own food. Since we have allergies, we always bring our food along with us where ever we go. I have a small cooler for quick lunches in the car on our days in town and a large cooler for road trips. Making sure you eat your dinner leftovers within the next day or two can make a large dent in your lunch budget each week. Find ways to bring life to those leftovers and use them! Here is some Leftover Inspiration to help you out. Are you already doing all of the things on this list and need more of a challenge. 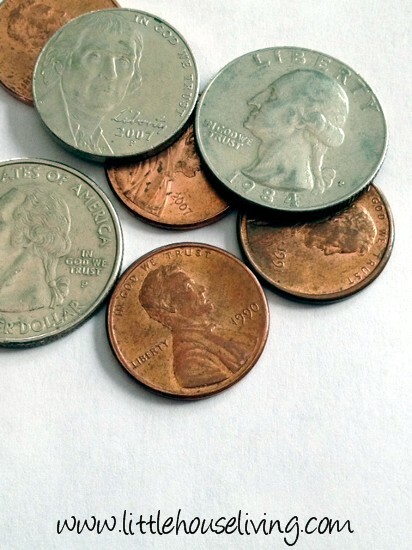 Check out this article on Frugal Tips for Saving Money next! 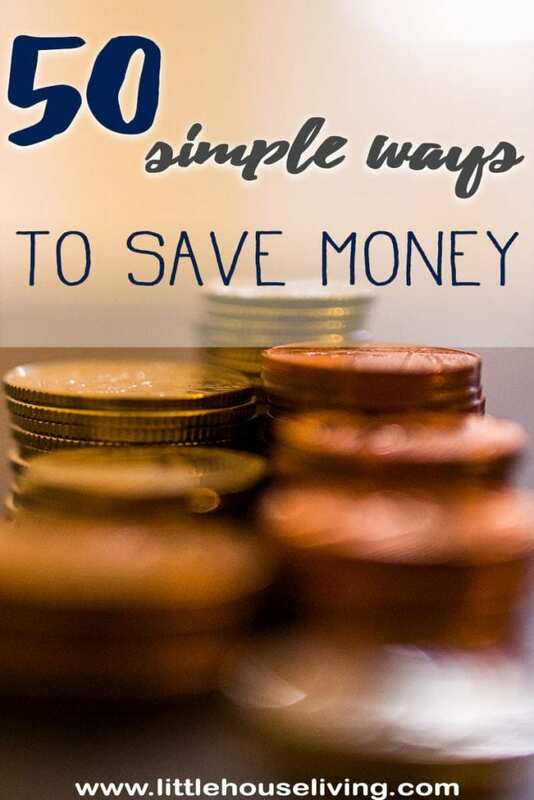 What are some of your simple ways to save money? These are terrific suggestions. Some I already do so I will pick a few more from your list and incorporate them into my life for 2017. 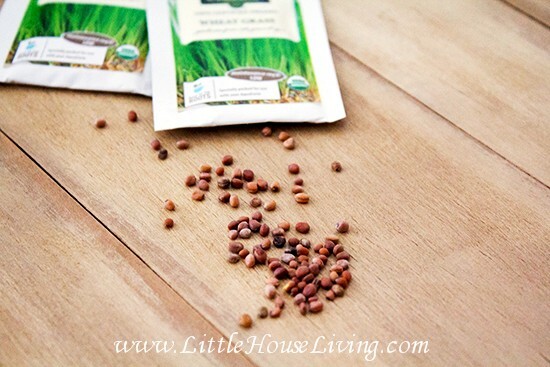 Saving garden seeds, tip for those that are gardeners or share seeds with others that will use them. Great ideas here. Didn’t know about the thermostat hack. Such wonderful suggestions! Another one– call and check on rates for things like heating, cable/satellite, insurance, etc. Often just calling to ask if you are getting the lowest you will find a few ways to save. I found that unsubscribing from a lot of email lists has reduced my online impulse shopping. If I don’t know about a BOGO sale on one of my favorite sites, I won’t be tempted to click through and spend. Also, I tend to check Amazon for the lowest price on something before making a big purchase–even if I end up not buying from there. My son needed a Chromebook for school this year and we found a good deal on Amazon. We went to Best Buy to take a look at it “in person,” and learned that they price match! We walked out with the computer on the spot. All of this advice is so practical and useful. We do many of these already, but I personally plan on getting better about utilizing coupons and coupon codes this year. I tend to slack off in that area. Thanks for a great post and best of luck with your No-Spend 2017! Excellent tips, thank you so much for these. Now I need to work on my husband to do these with me. Great job! It’s an excellent list that includes some things I wouldn’t have thought to include. Blessings from Harvest Lane Cottage where I live thrifty daily. We do a lot of the tips you mentioned, but not all. We used to garden, but haven’t recently. We need to get back to it, to grow our own vegetables. I never thought about using our own seeds, that’s a good idea. Thanks for sharing. Pinned & shared. Thanks for joining us at the Inspiration Spotlight party. Great list! Best thing we ever did was get out of debt. I’ve strived to do many of these things over the years and it’s all about finding a good balance. Love it! Thanks for sharing with us at Funtastic Friday! Wow, those are some great tips you’ve listed there, Merissa! The only “non-essential” spending I’m even allotting for is an already-agreed-upon concert. We’ve been saving for it for over 6 months and are continuing to add to the savings with what is left from our weekly budget each week. Other than that, look out! Going to do simple grocery shopping and household essentials only! What a brilliant idea, Merissa! I should dig up my old LiveJournal account and document it as I attempt it, lol! Glad you are on board with the challenge Autumn! We have a few non-essential things as well that we are right in the middle of and do not plan on waiting for an entire year to finish but it was all outlined in the little contract we made at the beginning of the year. Good luck with everything! Wow, this is a wonderful list of very useful ideas! I saw quite a few on here that I could work on. Thanks! Thank you so much for your ideas! I began my quest for a simpler life through making my own bread and chicken stock from food scraps. I would like to suggest adding raising your own composting worms and trapping rabbits in the winter (we trap them and bring them to our local park so we save a ton of wear and tear on our seedling beans and beats in the spring). Awesome list and I try to do as many as possible. I am also utilizing my dehydrator alot more to keep certain produce foods more attainable. We too live in the country and I want to decrease those shopping trips. Also, made some cloth napkins from fabric scraps and they have many miles on them. I am glad to know that I am not alone in my frugalness! great list! Our family recently moved and lived without internet for six months! Saved some money. Also we got “stupid phones” with a few pre-paid cards. Saved so much, we were paying over 100/month and that didn’t include new phone costs. Phone bills are outrageous now! We also do not have cable or any tv services. We bought a cheaper smart tv that is now hooked to our new internet , lol, and can watch shows for free!! DVDs at the library are great too. Also car sharing or having no car. We have always usually had one car as a family, it can be interesting at times, and at other times had very cheap 2nd cars that somehow worked out! ha! I wanted to add an important thing though! When you are looking for a job, value yourself! Ask for the money you need to live! You can always ask for more money or negotiate with your employer. You would be surprised, it has actually worked for us! oh and the “no car” thing. I have yet to do this, but just recently met a man who moved to the city we live near and said he has been living there for ten years with no car! The city has great public transport and he lives in a walkable and bikable neighborhood, but think of the savings! I’d love to try it one day!